The Quickest and Easiest Way to Get More Customers, This Month And Forever. We offer experienced and powerful pay-per-click management solutions for your business or website. You get more clients and more site traffic. Leverage PPC Ads to grow your reach and get your message in front of the people who are searching for the products or services you offer. Together with Prottoy Digital, PPC is not a “cover it and forget it” type of plan. It requires evaluations updates, tests, and modifications to get the most out of your investment. Have you been getting the maximum value from the AdWords campaign that is present? Our experienced team setup PPC campaign for your business, which means that your brand could be provided to customers the minute they begin trying to find services and the products that you offer. Custom Platform Ad and so on. Find and utilize the keywords that generate the most leads and the best return on investment (ROI). We will research your industry and your target customers’ wants and needs to determine the most effective words for your campaign to target. 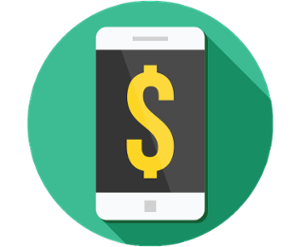 Optimizing your cost-per-click and bid positioning, for the highest financial gains, requires a perpetual cycle of expert testing and, implementation in competition with other advertisers. We optimize your landing pages, ad copy, and track the performance. Discover new opportunities and minimize overspending by taking a closer look at your previous or current campaigns. We will regularly audit your campaign’s performance in order to ensure that we’re making every penny count. Most of your site visitors are not ready to buy the first time they see your offer. Retargeting/Remarketing ads allow you to be in front of these already interested visitors again and again all across the web and bring them back to your product or service that they were interested in before. Every campaign is different and there are countless variables that can impact your strategy, which means there’s no such things as a “one-size-fits-all” PPC campaign.